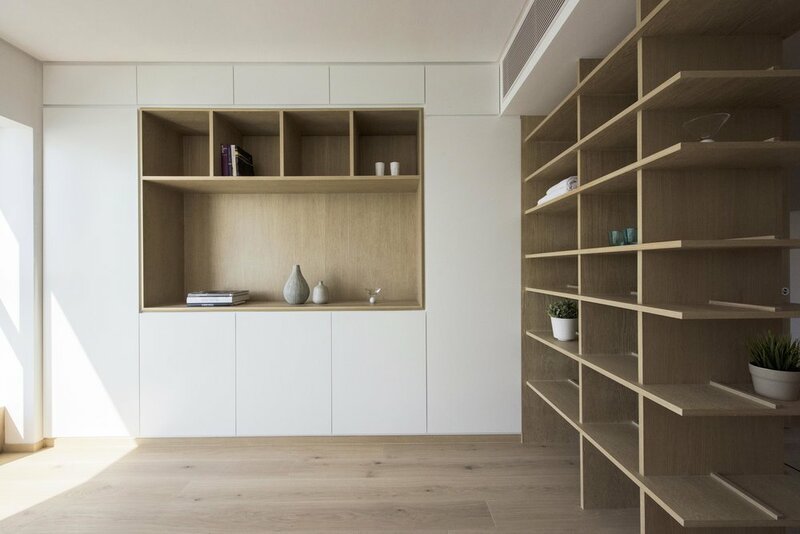 Bean Buro has removed a number of internal walls from a 2,000 sqft (1855sqm) apartment in Pok Fu Lam - transforming a dark, cellular layout into an open, light-filled space. 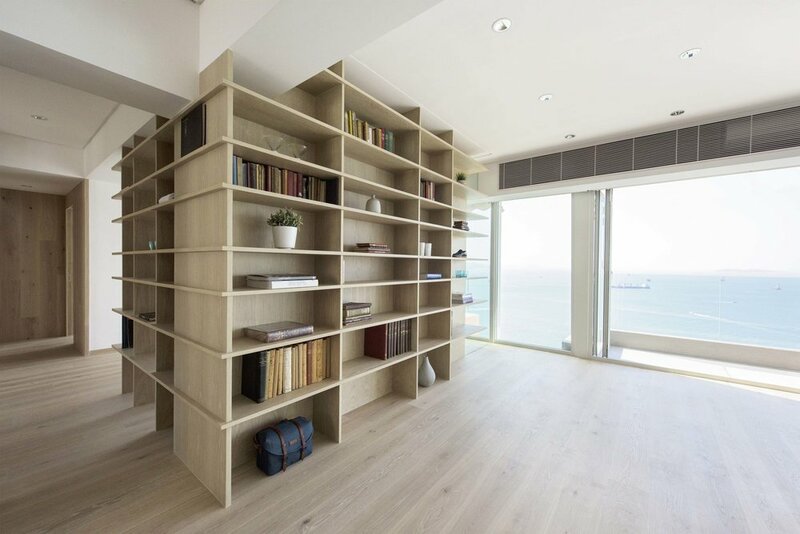 The brief was to create a natural and calm space for a Belgian / Chinese couple - maximizing daylight and views, to provide storage for their large recreational items, and to propose methods of displaying and storing the client’s large collection of curious objects, including antique western history books, contemporary Chinese art and ancient sculptures. A full height, faceted timber panelled wall, with a delicate pattern of display niches and intricate shadow gaps, begins from the entrance, and extends deep into the rear of the open kitchen, creating a continuous backdrop - linking the foyer, lounge, dining area and kitchen together. The timber panels conceal a system of high density storage - including shoe racks, storage for kitchenware and equipment, as well as a walk in wardrobe for outdoor sports gear and bicycles.